These books have made entrepreneurs rich. 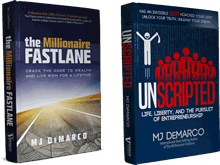 Start reading now and get the mental mind-shifts, the mathematics, and the strategies that will set you free. Forever.